Stoner Yoda. Here is a picture of the wise, old Yoda and his views on weed.. Wallpaper and background images in the Marijuana club tagged: marijuana star wars yoda aliens weed pot pictures photos canibus smoke. 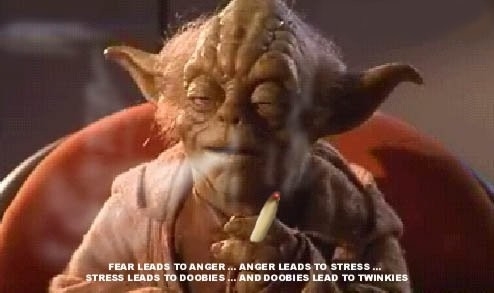 Here is a picture of the wise, old Yoda and his views on weed.